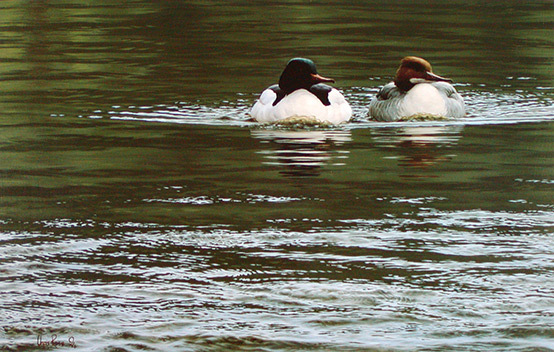 As if following a military command this goosander pair swam toward me in perfect synchrony, with gazes fixed to their left. This is a simple picture and concentrates on the patterns of swirling water and the symmetry of the ducks. This is the River Tweed near my home, one of the finest salmon and trout-fishing rivers in the World, where the fish-eating goosander is not a welcome sight to many and is the cause of some conflict between anglers and conservationists. 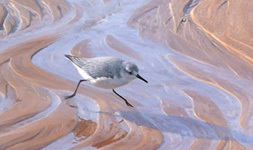 The birds are unaware of this – they are simply trying to survive in a harsh world.